With all the discussion regarding the Supreme Court’s decision regarding the Affordable Care Act, some clergy friends of mine have commented on the issue by referring to the United Methodist Church’s stance presented in the Social Principles. These are the denomination’s official positions on a wide variety of social issues as approved by the quadrennial gathering of General Conference and included in the Book of Discipline, the UMC book of law, structure, process, and theological beliefs. While it is not required that members of the denomination accept or follow these positions, they do represent the official stance of the Church. While I do not think I know the particular ins and outs of the Affordable Care Act enough to comment on it specifically, I do have reflections on the issue of providing care for others and the UMC’s stance on the subject as detailed in the Book of Discipline. Creating the personal, environmental, and social conditions in which health can thrive is a joint responsibility—public and private. We encourage individuals to pursue a healthy lifestyle and affirm the importance of preventive health care, health education, environmental and occupational safety, good nutrition, and secure housing in achieving health. Health care is a basic human right…. Providing the care needed to maintain health, prevent disease, and restore health after injury or illness is a responsibility each person owes others and government owes to all, a responsibility government ignores at its peril. In Ezekiel 34:4a, God points out the failures of the leadership of Israel to care for the weak: “You have not strengthened the weak, you have not healed the sick, you have not bound up the injured.” As a result all suffer. Certainly there is other Scriptural warrant to insuring health care to all people. Several years ago I had the privilege to hear Dr. John Holbert teach on the commandment of God to Israel to provide for the strangers in their midst because Israel was at one time a stranger in a strange land, Egypt as well as the land God gave to them after their wilderness experience. It was only through the providence of God that they survived the 400 years in Egypt, the 40 years in the wilderness, and their establishment in the promised land. As God had provided all for Israel, how could they not provide hospitality, ie basic needs, for all persons, including strangers, in their midst. In addition to “aliens” there is also teaching after teaching, commandment after commandment for Israel to care for the most vulnerable groups, widows and orphans. Jesus offered his two denarii when he commanded all disciples to love neighbors AS they loves themselves and then told them that neighbors included strangers and even enemies. In other words, no one falls outside the bounds of who should be loved and cared for. I do not disagree with the UMC statement other than to question the assertion that people have a “right” to healthcare. In a theological sense there is no such thing as a right, the Declaration of Independence aside. Were humanity to have rights it would then have a claim over and against God, which would rupture the complete supremacy of God. God created humanity strictly out of love and God sustains and saves humanity, via the gift of Christ, out of God’s completely perfect love for humanity and all of creation, not because of a right owed to humanity or creation. God has given humanity the blessings of life in this world and through Christ the reconciliation of relationship, which we ruptured, and promise of life everlasting, which we forfeited through sin, in God’s Kingdom. Another blessing from God is the call and acceptance through baptism of disciples into ministry. God does not owe these, but gives them to every person out of love. Because of those gifts, humanity then has an obligation to serve God through caring for others, whom God also loves and have given life and relationship. 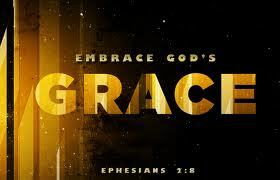 Because of the blessings given to every person by God, each person has the obligation to respond to such love and fully embrace God’s grace by offering such to others. This care for the other, for the neighbor as defined by Christ, is not done in an attempt to justify one’s goodness, but out of love for God and the greater love God has for us. For bottom line folk this may seem like needless splitting of theological hairs, but the difference in perspective perhaps makes the provisioning for all persons with proper healthcare easier. The care for others has nothing to do with what they “deserve” from government ie. everyone, but has everything to do with what we all owe to God. While all people are in debt to God, if the common understanding is true that all that one has has been given to them by God, the more one has the more one owes to God. Jesus spoke to this when he taught that to whom much is given much is expected. Assuring others have healthcare and other basic needs, whether they are a stranger or a family member, a “producer” or a “consumer” in society is one way those who are blessed with material and financial means can respond to the love, grace, and blessings God has given them. This is especially true for those who claim that their’ s is a nation formed in the name of, if not by the desire of, Jesus Christ. Basing the call to provide for others not on what they deserve, their rights, but on what we owe, our obligation to God, amplifies the directive to providing basic needs for others. Some will respond to this understanding by questioning the limits of what society should provide all people. Should all people then be given housing, clothing, cable TV, internet access etc.? Yes there are limits to what society should provide and the reality of enabling poor decisions and behavior does exist. These are conversations that are important in deciding how best to serve God in providing what is best for others. But be aware that to do so in an effort to determine what is the least we should do for others, rather than what is best for them, is the same question the Pharisee was asking Jesus when he sought to limit to the smallest circle those Jesus would define as a neighbor, and that Jesus answered by offering the parable of the Good Samaritan. Again, our responsibility to provide for our neighbors as Jesus defined them is not because of what they deserve, but what we all owe to God. This entry was posted in Faith Shots and tagged Affordable Care Act, blessings, Dr. John Holbert, General Conference, grace, Health care, healthcare, Hospitality, rights, supreme court, The Book of Discipline, the Good Samaritan, The social principles, United Methodist Church. Bookmark the permalink.